Third time lucky for MICHAEL BAY and his not-so disguised robots? Box-office figures say yes, critics suggest other however, not that the series was in need of any luck. With DARK OF THE MOON comes the end of MICHAEL BAY’S role as director, rounding out a heavily divisive trilogy of a series that will undoubtedly be extended into the future for as long as Paramount can squeeze a few extra bucks out of it. Needless to say, DARK OF THE MOON’S predecessor REVENGE OF THE FALLEN was far from a classic, and is arguably the embodiment of Hollywood’s innovation and originality famine that shows no signs of ending. As long as the money keeps flowing, things are unlikely to change, leaving audiences with a choice of either seeking out pastures new or embracing the likes of the TRANSFORMERS movies in the hope that they can offer a satisfying distraction. DARK OF THE MOON, like REVENGE OF THE FALLEN, is a strikingly lengthy distraction running at 154 minutes long and one that largely consists of inconsequential filler that drags the film by the scruff of the neck towards the next, admittedly visually stunning, action sequence. 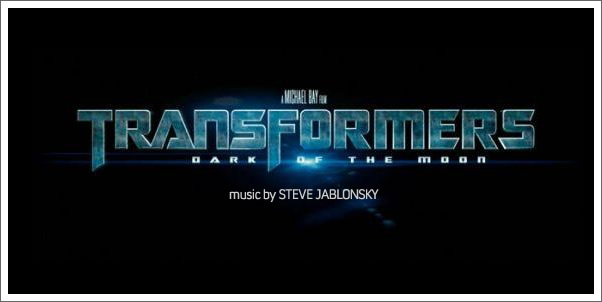 There is certainly a lot of opportunity for STEVE JABLONSKY to finally let loose here, and ever so occasionally he does to great effect. Yet this effect is frequently diminished by an overall lack of coherence thematically and structurally.